This site was built on WordPress via an in-house pre built custom theme using HTML5, CSS3 and jQuery with a shopping cart utlizing WooCommerce. 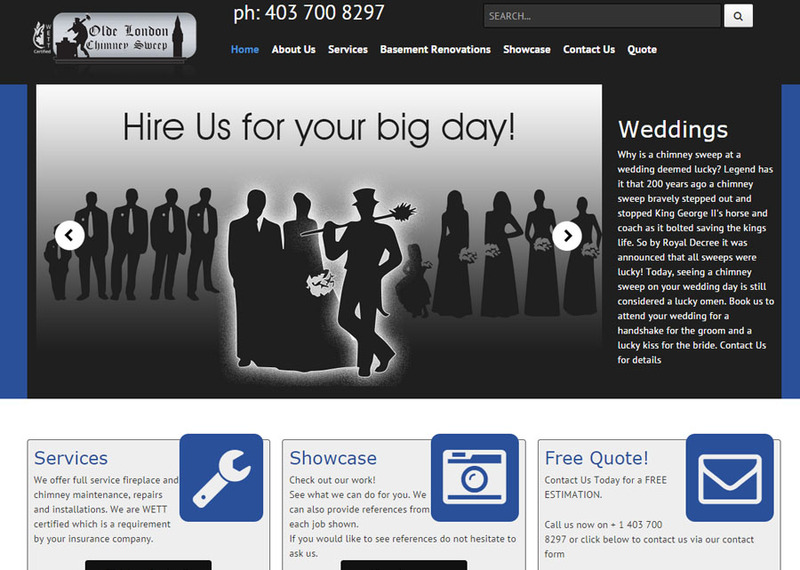 This site was built on WordPress using HTML5, CSS3 and jQuery. 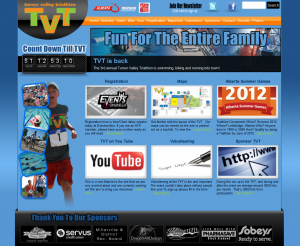 Responsive, CSS3, HTML5, WordPress, Content Management System. Paint It Up Pottery is an adult and kids pottery art studio based in Okotoks. TruWest Environmental Solutions Inc. brings together over 35 years of industry experience through it’s owners. Peter MacDonald has spent more than 30 years in the construction industry. His experience ranges from site worker, engineering technician, senior project manager, and account management. Richard Ashman’s 17 years in the industry has included everything from field operations, disaster remediation, mitigation, site clean up, staff management, safety supervision, training and site management. Responsive, CSS3, HTML5, WordPress, E-Commerce Content Management System. Country Store Diner are a family friendly diner situated in Turner Valley, South of Calgary. They offer a wide range of menu items from Pizza, Burgers and Pasta to Salad, Wings and Poutine. They have an outside patio and are fully licensed so a great place to drop in at during the summer. Dream Scapes offers top quality affordable landscaping. With ten years of experienced landscape and equipment operation we can take on many types of projects. 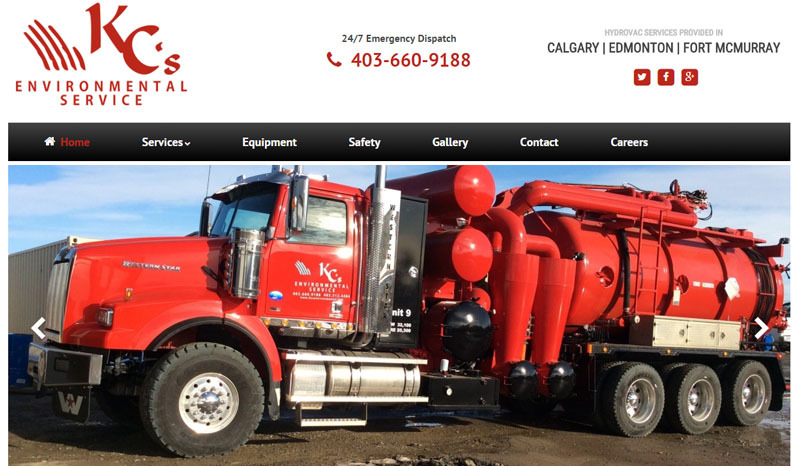 Based out of Turner Valley we can service South Calgary, Okotoks, High River, Longview and other southern Alberta locations. Honesty, hard work and dedication is the basis of their company. 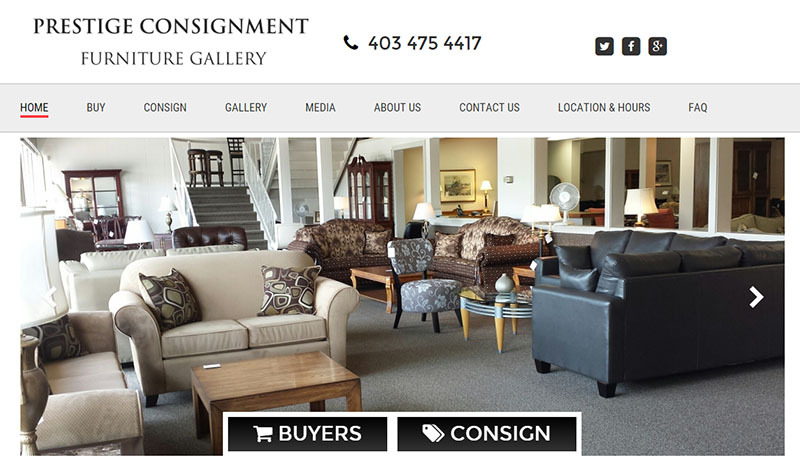 Prestige Consignment Furniture Gallery sell a mix of fine furniture and home décor consigned from different sources – interior designers, show homes, furniture manufacturers, and our wonderful consignors. Easily sell your high quality furniture and decor in their spacious 6,000 sq ft showroom located in one of South East Calgary’s busiest areas. 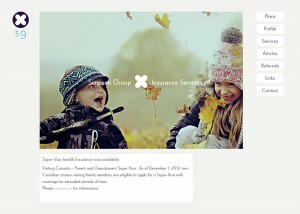 Specialists in the following insurance areas – Health, Travel, Visitor to Canada, Expatriate, and Group Insurance. 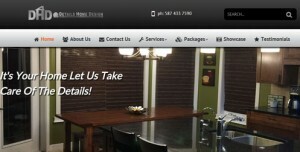 Details Home Design are Okotoks, Calgary, High River and surrounding area Home renovation experts. They wanted a professional looking site that could be updated easily. We built the site on WordPress so they could handle updates themselves and avoid monthly update fees. 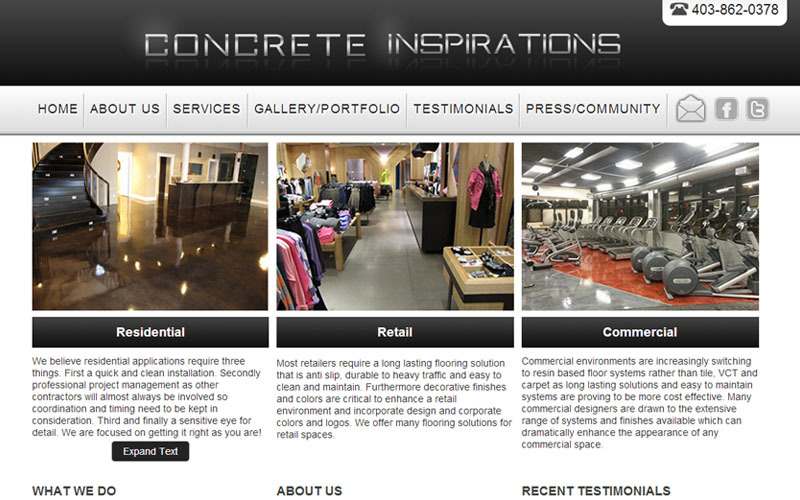 Concrete Inspirations has been serving clients throughout Western Canada since 2006, based in the foothills of South Calgary. They have installed over half a million square feet of commercial, retail and residential flooring systems. 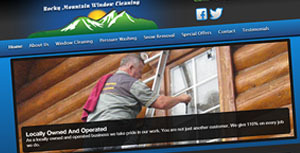 Website built for local Window Cleaning Company as a CMS built on the popular WordPress platform. 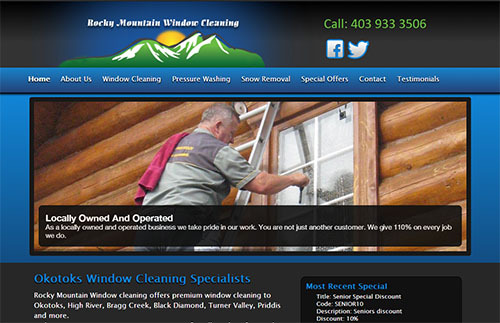 Rocky Mountain Window Cleaning are a Window cleaning company servicing Okotoks, High River, Long View, Black Diamond, Priddis, Bragg Creek and more with over 35 years experience. 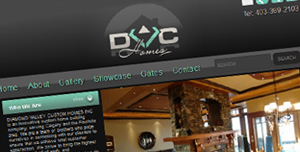 DVC Homes are based in Okotoks and service Calgary and the surrounding Foothills. 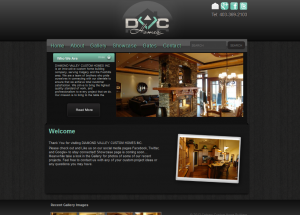 DVC Homes are a custom home building company. Revamped the existing site we had built them adding a count down timer till the event, a newsletter feature so they could stay in contact with their participants, featured news dynamic boxes on the home page and a slideshow. UPDATE: Site was made responsive to make it much easier to navigate for mobile visitors to the site and to also fall in line with Google’s recent update. 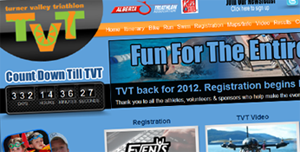 The Turner Valley Triathlon is an annual event held in Turner Valley, Alberta, Canada. The event is great family fun and open to pretty much all. The three events are Swim, Bike and Run. The client wished to showcase their work and enable potential customers to contact them for a quotation with ease. The slideshow on the front of the site showcases some of their services and with the site being built on WordPress everything is easily updated from the back of the site. UPDATE: Website was made responsive/Mobile Friendly to fall in line with Google’s April 2015 mobile friendly search update. Olde London Chimney Sweep are Chimney Sweeps based in the Okotoks area servicing Calgary the surrounding Foothills area.